The Compact Shelter™ offers the design features of the CyclePort Bike Shelter with a narrower footprint, suitable for pedestrian walkways. The modern design and sandstone finish will blend with any built environment or may be specified with a custom finish to meet architectural or site elements. The Compact Bike Shelter is constructed with a compression-molded top for durability with a sandstone polyurethane finish, contoured for runoff and built for years of use. 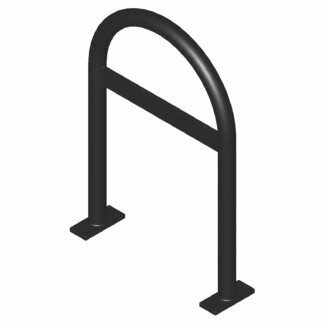 Structural frames provide support with heavy-gauge steel tubing with a taupe powder coat finish. Custom colors upon request. 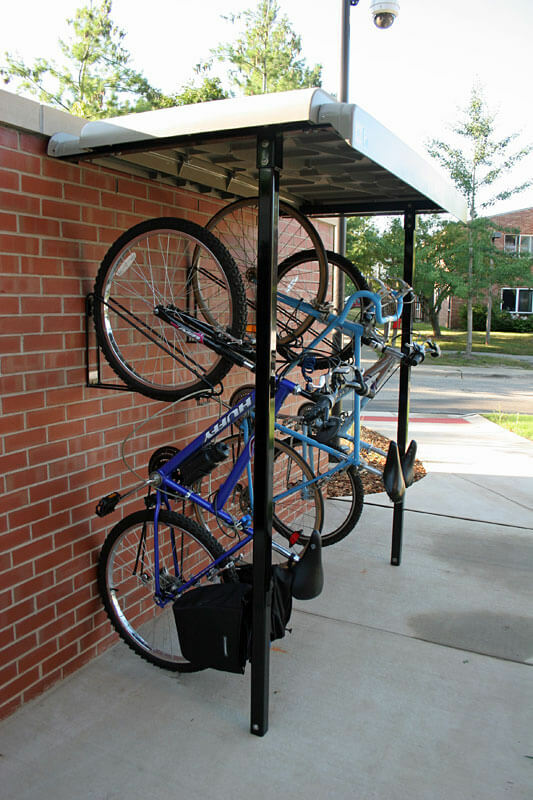 The Compact Bike Shelter pairs perfectly with our WallRack Frame to maximize bike parking capacity to fit up to four bikes, or for a more classic short-term bike parking solution one of our numerous Inverted U-Racks. Other custom configurations are available as well.